We questioned the need for every feature and chose with care. The result is the most intuitive motion control device for time-lapse photography. Using Astro is very easy; rotate the three rings to set the duration of the time-lapse, the total range of movement, and the interval in which the photos will be taken. Our Smartphone app allows you to create advanced programs and see more information about your selected settings. Create programs based on number of photos, degrees per photo, or even total duration of the resulting video. 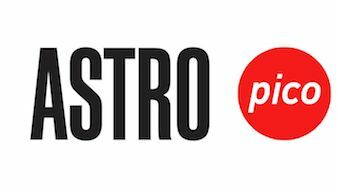 Through this app, we are working to make Astro even smarter! Astro is compatible with over 900 cameras. Your order will include a cable to allow communication between Astro and your camera. Make sure to check our cable guide to see if your camera is supported and exactly which cable you will need. PowerShot: G10, G11, G12, G15, G16, G1 X, SX50 HS. FUJI: X-T1, X-E1, XE2, Finepix S1. Pentax: K-3, K-5, K-5 II, K-5 IIs, K-7, K-m, K-10, K10D, K20D, K30, K50, K100D, K110D, K200, K200D, K-500, K2000, MZ-6, MZ,-L, ZX-L, x70, x90, *ist,*istD, *istDL, *istDL2, *istDs, *istDS2, 645D, 645Z. Canon EOS: 10D, 1D, 1D C, 1D Mark II, 1Ds Mark II, 1D Mark III, 1Ds Mark III, 1D Mark IV, 1D X, 1Ds, 1Ds Mark II, 1Ds Mark III, 5D, 5D Mark II, 5D Mark III, 6D, 7D, 1V/1VHS, EOS-3, D30, D60, D2000, 10D, 20D, 20Da, 30D, 40D, 50D. Nikon: D1, D1H, D1X, D2, D2H, D2X, D2Xs, D2Hs, D200, D3, D3X, D3s, D4, D4s, D200, D300, D300S, D700, D800, D800 E, D810, F90x, F90, F100, F6, F5, N90s. FUJI: S3 Pro, S5 Pro.